Here’s my review about the best file manager and FTP apps for iPhone and iPad. 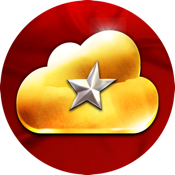 iPhone and iPad file manager and FTP apps are essentials tools to manage your private Cloud / private iCloud in your home network. Even more, home network access via VPN is getting more important. Since my last review on the best file manager and FTP apps for iPhone and iPad, dated April 14, 2013, a lot happened: File Explorer was updated to version 4 and a new file manager, called Cloud Commander, was published. Last, but not least, Documents 5 by Readdle‘s release on February 27, 2014, is a big step forward to make the file manager app to a kind of ‘control center’, called ‘Add-Ons’, for certain other Readdle apps. Up to now, this ‘control center’ is only available on iPad. You see, it is time to update my review. Therefore, I did a web research to find the best iPhone & iPad file manager and FTP apps. I found two categories of apps: On the one hand, ‘pure’ FTP apps serving as a FTP client. On the other hand, ‘real’ iPhone & iPad file manager apps. Some of the later ones do have the additional FTP client feature. But let me start from the beginning. I use that kind of app daily. It is an integral part of my working with iOS devices and computer in my home network and on the way connected via VPN. Most points of my personal wish list are still the same: I want to have one single app for file managing. Cloud services: I want to manage as many other clouds like box.net, CloudMe, Dropbox, Google Drive, Office 365 SharePoint, SkyDrive, SugarSync, WebDav, …. FTP Client: I need access to my blog’s FTP server. Due to my requirements pure FTP apps are not good enough for me. Hence, none of the three apps above is my favourite. And now, the 6 best file manager apps for iPhone and iPad! My review on Cloud Commander 3.6.1 for iPhone, iPad and iPod touch comes to the result that Cloud Commander is the best file manager and FTP manager for my private cloud / iCloud, cloud services, FTP (NAS), SMB (Windows, Mac, Time Capsule) I’ve ever tested. Additional, you can get Cloud Commander for Mac and Cloud Commander SkyDrive Edition for Mac (supports SkyDrive and SkyDrive Pro / Sharepoint 2013). Ease of use via split screens: I can easily drag and drop my documents and pictures between my iPad, Mac (MacBook Pro Mid 2012), Windows PC (Acer Aspire 1810T running on Windows 8.1), 2 Time Capsules with a NAS attached, a Fritz!NAS and all my cloud storage Accounts. Cloud Commander integrates with all other Apps on my iPhone and iPad that support ‘Open In‘. I can connect my Mac wirelessly via AirDrop or exchange files using iTunes File Sharing. Drag&drop for coping or moving files in a storage drive and between different ones. AirDrop support on iOS 7. FTP client to manage my blog’s files via FTPS. Support of many cloud services. The sole lack of Cloud Commander for iOS is the missing FTP server functionality, e.g. to access iPhone or iPad via an internet browser from the computer (alternatively install a FTP server on your computer). Instead of this, AirDrop between iDevices and Mac OS X is possible. Documents 5 by Readdle is a complete redesign of the well-know file manager for iOS, Documents by Readdle. The main new features are the new design in iOS 7 flat style, the optimised file manager with drag&drop and add-ons for integration other Readdle apps (for iPad only) like PDF Expert 5 for iPad, Scanner Pro, Printer Pro for iPad and PDF Converter for iPad. The support of Windows shares (SMB) to access computer (Windows PC, Mac) and Apple’s Time Capsule have already been added with Documents 4.4. For details have a look at my latest review on Documents 5.0.2 by Readdle. Supports computers (Mac and Windows PC) via SMB. Supports Apple’s Time Capsule and AirPort Extreme via SMB. 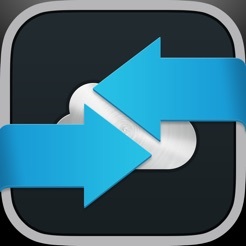 Syncing files from connected drives to iPhone or iPad (bi-directional). Moving files directly within and between connections (cloud services, NAS drives, computers,…) is not possible. You need to do the detour via copying to local folders and after that, delete the file on its origin. GoodReader for iPhone and iPad (not universal) are not only excellent PDF reader and annotating apps. GoodReader is a hidden champion of file manager and FTP apps for iPhone and iPad to manage files of your computers (Mac and Windows PC), private cloud / iCloud, many cloud services, NAS drives (Time Capsule) and FTP servers. The latest Goodreader 3.20.0 update fully supports iOS 7. For details have a look at my latest review on GoodReader for iPad 3.20.0 and GoodReader for iPhone 3.20.1. FileExplorer 4.0 update adds new gestures and file transfer and syncing options. FileExplorer 4.0 is a useful file manager for iPhone and iPad for organising cloud services, NAS drives and for remotely accessing your Mac or Windows PC. FileExplorer has been my favourite file manager until Cloud Commander for iOS was released. For Details see my latest review on FileExplorer 4.0.0. Supports computers (Mac, Linux/Unix and Windows PC) via SMB. Syncing files from connected drives to iPhone or iPad. Moving files directly between connections (cloud services, NAS drives, computers,…) is not possible. You need to do the detour via copying to local folders and after that, delete the file on its origin. No support of FTP server. No support of syncing files from iPhone or iPad to connected services. iStorage 2 HD 2.4 is a universal file manager and FTP app for iPhone and iPad. Since my first review about iStorage 2 HD on June 24, 2012, iStorage 2 HD was much improved and got a universal app. The last update 2.4.1 was released 8 months ago on September 3, 2013. For details have a look at my latest review on iStorage 2 HD 2.4. No support of computers (Mac and Windows PC) via SMB. No support of Apple’s Time Capsule and AirPort Extreme via SMB. No support of iCloud for storing files across devices. No option for syncing files from connected drives to iPhone or iPad. FileBrowser for iOS is universal file manager and viewer app for iPhone, iPad and iPod touch. FileBrowser can view, copy, move, upload, download, stream and manage files between computers, servers, NAS drives and cloud storage in any direction. For details see my latest review on FileBrowser 5.1. No support of FTP (only via detour point.io). No intuitive moving and copying of files: A complicated copying process. Cloud Commander for iOS is still the best file manager and FTP app for my needs! Second best file manager is Documents 5 by Readdle because of its ‘Add-on’ feature to integrate other useful Readdle apps. Last, but not least, the third best file manager is GoodReader because of its PDF-file editing capabilities. What do you think about my rating? Let me know and comment! Do any of these apps allow me to see the files that are already on my iPad, such as email attachments that I have downloaded? Or do they create a new store on my iPad that is specific to this app? only GoodReader is capable to manage email attachments. However, none of these apps can see files that are already on your iPad (despite these files you directly downloaded with one of these apps). I actually got FileBrowser since the many years due to the fact it was probably the only app could interface iOS with Time capsule guess using SMB protocol.